With the ruling that the case against Saif al-Islam Gaddafi is admissible before the International Criminal Court (ICC) and that Libya must surrender him to The Hague, observers might be inclined to think the story between the ICC and Libya is over. After all, there is virtually no way that Colonel Muammar Gaddafi’s son and ‘heir apparent’ will be surrendered to the ICC. But the story between the ICC and Libya may not be over. Indeed, a new chapter may just be opening. In a New Years post on 2014 predictions, I suggested that another Libyan will be indicted by the ICC and Libya will not have any issue with it. 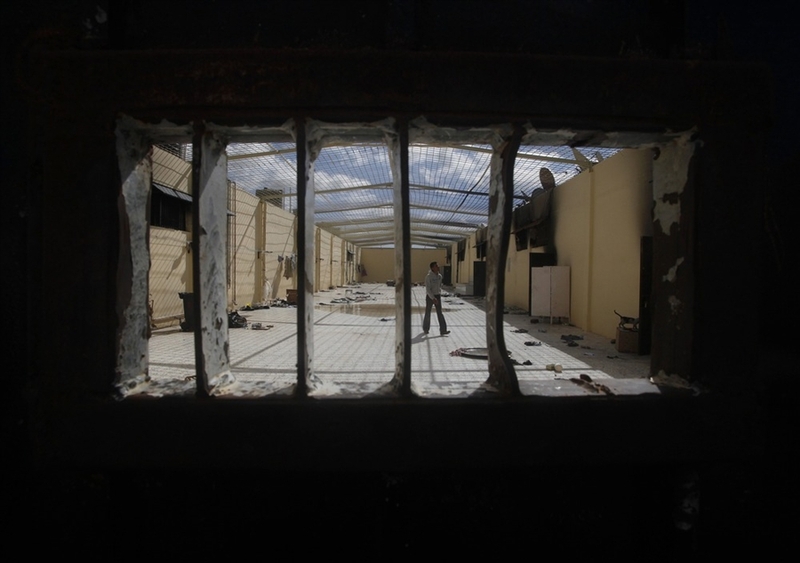 Since then, in speaking with a number of well-connected sources, it has become clear that there is a growing belief that the Prosecutor may proceed in requesting additional warrants for individuals responsible for crimes committed during the Libya’s 2011 uprising and civil war. Close ICC observers, especially those who tune into online streams of the Prosecutor’s reports to the UN Security Council, might not be surprised. Chief Prosecutor Fatou Bensouda has intimated, on at least two occasions now, that more arrest warrants may be forthcoming. There are many others who are alleged to have committed crimes and/or who continue to commit crimes in Libya since February 2011. Some are still inside in the country while others are abroad where they continue to use their influence to destabilise the country and pose a security threat to civilians. It is impossible for the ICC alone to investigate and prosecute all perpetrators. Neither can Libya undertake this demanding task alone. Investigation and prosecution of the few by both ICC and the Government of Libya respectively should not result in impunity for the many. Joint complementary efforts of both the Government of Libya and the ICC, strongly and actively supported by the international community, are thus crucial for ending impunity in the country. To this end, my Office and the Government of Libya have recently concluded a burden-sharing Memorandum of Understanding, the purpose of which is to facilitate our collaborative efforts to ensure that individuals allegedly responsible for committing crimes in Libya as of 15 February 2011 are brought to justice either at the ICC or in Libya itself. While my Office will prioritise its investigation and prosecution of those who are outside the territory of Libya and who are thus largely inaccessible to the Libyan authorities, the Government of Libya will prioritise investigations of those suspects who are within Libyan territory. I am also pleased to report that my Office and the Government of Libya have also committed to supporting each other’s investigations and prosecutions through the exchange of information, subject to confidentiality and protection obligations. To be absolutely clear, this agreement does not relinquish the ICC or the Libyan courts of their respective jurisdiction, nor does it apply and/or affect the ongoing judicial proceedings in either the Saif Al-Islam Gaddafi or the Al Senussi cases. Following the conclusion of the memorandum of understanding on burden-sharing with the Government of Libya last year, on 29 January 2014, my Office held fruitful and constructive discussions with the Libyan Prosecutor General Abdul Qader Radwan on practical aspects of the implementation of this MOU and strategies for further investigations, prosecutions and possible arrests. These discussions will be continued during the next meeting with the Prosecutor General’s investigators, scheduled for 15 May. The support of this Council and of all States is critical for these joint endeavours to bring to justice, either in Libya or at the ICC, those responsible for serious crimes. In particular, and as I have said before, such support is crucial for the colossal task of collecting evidence to untangle the modus operandi of the networks responsible for committing crimes. Amongst others, we will require telephone intercepts and sustained follow-up on the transfers of funds to establish the whereabouts and movements of persons under investigation. This is all information that we can only access through the assistance of States. Above all, we hope we can count on the cooperation of States in facilitating the smooth arrest and surrender of those against whom warrants will be issued. This is key for sending a clear message to would-be Libyan perpetrators and indeed all other would-be perpetrators that the international community is watching and will no longer allow impunity to reign unchecked. There are a few things to take away from this. First and most obviously, the level of apparent time and effort that is being spent on investigating and potentially prosecuting additional figures from Libya suggests that the Prosecutor isn’t content with the Court’s legacy in Libya and, in particular, is not satisfied with being left empty-handed in Libya. Second, the ICC’s Office of Prosecutor (OTP) evidently remains very active in investigating alleged perpetrators from Libya. The explicit mention of requiring states to hand over telephone intercepts and information of fund transfers suggests that the investigations are quite far along and that the OTP has specific perpetrators in mind. Who they are is not clear at this time, although they are likely to be on Interpol’s Red Notice list. Third, while Bensouda asks for state cooperation in enforcing indictments that “will be issued”, it cannot be discounted that the Prosecutor has already requested that ICC Judges issue additional warrants. This could have already occurred and the warrants may be sealed. If this is the case, they would only be ‘unsealed’ if the names of the indictees are leaked or the individuals in question are arrested. Fourth, if the ICC does issue (or has already issued) additional arrest warrants, the Court will ultimately be dependent on third party states to enforce them – and not Libya. 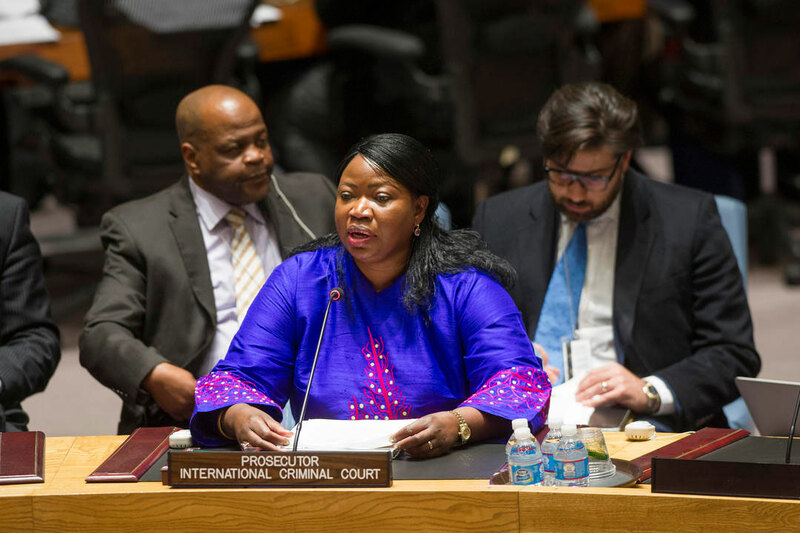 As Bensouda states, her office’s focus is on alleged perpetrators outside of Libya. Lastly, given the level of apparent cooperation between the Court and the Libyan government – highlighted by the signing of a Memorandum of Understanding (which has not become available to the public) – it is fair to assume that the targets of any subsequent ICC investigation or prosecution will be officials from the Gaddafi regime. There is no indication that the Prosecutor is interested in investigating or prosecuting crimes committed by opposition forces, despite evidence that serious crimes were committed – most notorious the ethnic cleansing of Tawergha. This entry was posted in ICC Prosecutor, International Criminal Court (ICC), Libya, Libya and the ICC, United Nations. Bookmark the permalink. Yeah, that final point is quite a doozy. The OTP is basically admitting that it has no intention of — much less the desire to — prosecute individuals affiliated with the Libyan government. With respect to Fatou, this arrangements strikes me as little more than a fancy version of Moreno-Ocampo standing next to Musveni and announcing he was opening an investigation into the LRA. I don’t think if it is to the level of the Museveni press conference but it is notable that Moreno-Ocampo did just that in Libya as well (http://edition.cnn.com/2011/11/23/world/africa/libya-icc/). I think the Defence for Saif and Senussi noted it in their request to have LMO dismissed from the case for being biased in favour of the NTC / Libyan opposition.